Graphics is a specialist course and you will be involved in a range of practical design tasks involving experimentation with typography, colour, layout and image manipulation. 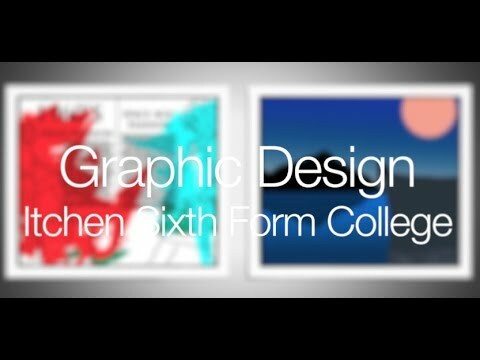 you have a real passion for being creative and want to explore graphic design, illustration or visual communication. you have an interest in creating and producing your designs in traditional and digital formats. you want to build up a comprehensive portfolio of work to show prospective clients or higher education admissions tutors. This course will introduce you to visual communication using both handmade and digital arts. This can be applied in advertising, promotion, 2D design, website design, packaging and so on. By the end of the course you will have a solid working knowledge of Adobe Photoshop and other digital platforms. You will develop a personal portfolio of work that will explore a variety of ways of communicating and generating messages visually. The course is assessed through a combination of coursework, two units, a personal investigation and a controlled assignment. Homework supports and supplements the work done during lessons and will take up to five hours per week. Occasionally you may be asked to research a particular designer or visit a gallery to record your responses to certain works. Opportunities exist to develop and enhance your assignments on local and international trips. London, New York, Paris, Rome and Venice are a few of the trips our students have been on in the past. Progress onto higher education to study graphics related courses at degree level. It will also provide you with skills needed for employment in related fields, such as publicity, information graphics, packaging, web design, advertising and animation. Grade 9-4 in English and Maths and three or more GCSEs at grades 9-4 and A*-C, preferably including Art at grade 5 (or a portfolio of creative work). In 2017 Graphics A Level achieved 100% pass rate.